Remember this advice before you go and spend nearly $50,000 on your new Lexus: Get the IS model if you love to drive. Get the ES model if you want comfort, space, and quietude. Although it wears a Lexus badge, don’t allow preconceived notions of what Lexus means to cloud your judgment of the IS lineup. These cars are multi-talented sports sedans with high levels of quality and refinement, but little in the way of traditional luxuries. Keep this in mind, and you’ll get along with the IS just fine. About once a year, my family visits with a longtime friend’s parents. A sophisticated older couple with deep roots in the Los Angeles classical music scene, they keep their cars for a long time, and during each visit they grill my husband and I with questions about the vehicles they’re considering for their next purchase. That’s why, this past year, we were surprised to see a gleaming new Lexus IS 350 in front of their house. This car had never come up in previous conversations, and we were eager to see how they made their decision and what they thought of it. As it turns out, they should have called us before making this purchase. Our friends wanted something a little more luxurious than their previous car (a Mazda Millenia)—something reliable, easy to maintain, and wearing a more prestigious badge on the grille. Naturally, they thought a Lexus would fit the bill, and they liked the styling of the IS 350, so that’s what the Lexus dealer sold them. Trouble is, what they wanted was a luxury sedan. What they bought was a sport sedan with some luxurious touches. As a result, they’re unhappy Lexus IS owners. The numerous charms of the Lexus IS are lost on them, which is a pity, because this is a truly desirable car in the hands of someone who loves to drive. Its intentions are made clear in the flagrantly acute angles that compose the car’s design, from the scowling visage to the rear taillights that remind me of KISS face-paint. My husband loves the look. It’s a little out there for me, but it helps this Lexus stand out in the crowd of premium branded sedans that daily flood onto our local L.A. freeways. Granted, our friend’s parents did not get the F Sport version of the car, which is what I spent a week testing, so they don’t have the IS 350’s sport seats. That probably helps them in terms of comfort. But they definitely do not like feeling every bump in the road, a feature that is standard in every IS model. Really, the dealership should have switched them to the Lexus ES 350. They’d be much happier today. One aspect of their IS 350 that they adore, however, is the optional 15-speaker Mark Levinson audio system. In addition to the F Sport Package, my test car had one of those, too, as well as a Navigation Package, a blind-spot monitoring system, and a few other tchotchkes. Totaled up, my IS 350 F Sport came to the princely sum of $48,930, including the $925 destination charge. No one can argue with the power and refinement of the Lexus IS 350’s drivetrain. Fomenting 306 hp, the 3.5-liter V6 engine launches the IS from 0 to 60 mph in under 6 seconds, and when the car is equipped with the F Sport Package, a sound generator amplifies the engine note during acceleration, giving the IS F Sport an appropriate boost in character. An 8-speed automatic transmission sends the power to the rear wheels, shifting quickly and seamlessly, especially when the car’s standard Drive Mode Select system is placed in Sport+ mode. As far as fuel economy is concerned, the EPA says to expect 19 mpg when driving in the city and 28 when cruising on the highway. During my week in the car, I averaged 19.6 mpg, falling short of the EPA’s 22-mpg estimate for combined driving. To be fair, though, I spent plenty of time on city and suburban streets as well as mountainous highways. I also employed liberal use of the throttle. Aside from styling modifications, what makes the F Sport Package desirable are its special tires and 18-inch wheels, a sport-tuned suspension with adaptive dampers, and larger brake pads. The result is a firm and measured ride, perfect for driving enthusiasts seeking a feel for the road, but imperfect for people used to softer suspension tuning (like my friend’s parents). A Lexus IS is not the kind of Lexus that coddles you, especially in F Sport guise. 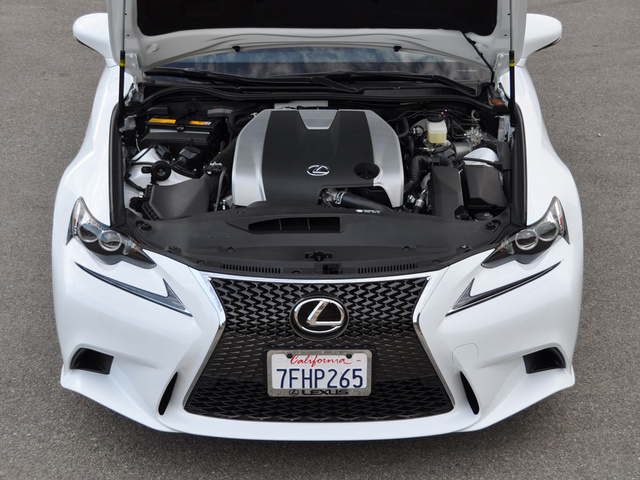 Get one onto a sinuous strip of asphalt, and the IS 350 F Sport verily shines. It flew down serpentine paths without breaking a sweat, and props go out to the staggered-width wheels and performance tires as well as the more athletic springs and shocks. Fairly heavy but incredibly precise steering is the order of the day, and while the upgraded brakes are a bit grabby around town, they prove excellent when driving hard and fast. The result is a light and lively feel from behind the steering wheel, the car gripping the pavement with conviction and twirling around its center of gravity with sass. Admittedly, though, I don’t explore the outer reaches of a car’s performance on public roads. As such, I never found occasion to turn off the IS 350’s suite of active safety technologies, grouped together as Vehicle Dynamics Integrated Management (VDIM). A more talented and experienced driver than I, my husband found the VDIM overly intrusive, kicking in way before things got hairy enough to truly require it. He reports that without VDIM engaged, the IS is a brilliant performer on the mountain and canyon roads near our home. 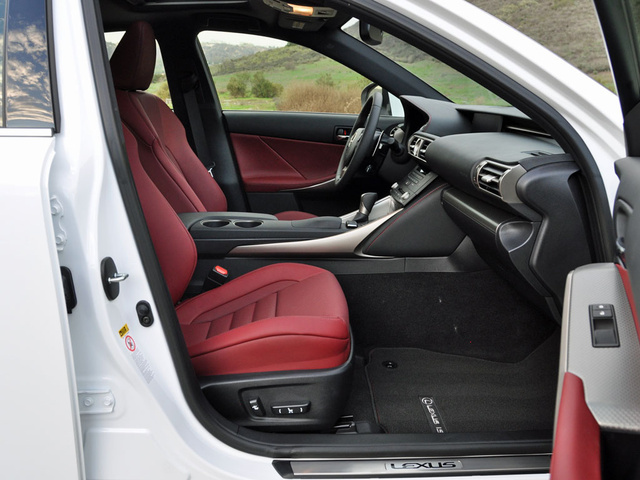 Slip into the IS 350 F Sport’s driver’s seat, nestle yourself between the performance-oriented seat bolsters, and you’ll find an exceptionally comfortable driving position. 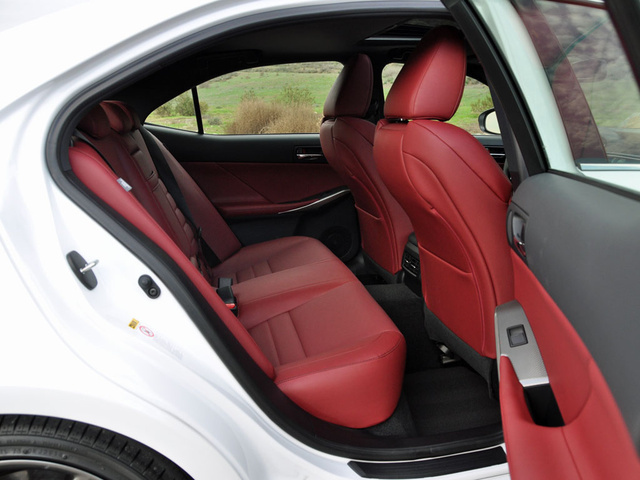 My test car’s seats were covered in soft, scarlet-colored NuLuxe material (a soft, synthetic leatherette) and included both heating and cooling features. Thanks to a multitude of adjustments—10-way for the driver and 8-way for the front passenger—you’ll also find an ideal perch from which to pilot the IS, which affords excellent forward visibility thanks to its slim windshield pillars. Purposeful F Sport instrumentation, reportedly modeled on the short-lived Lexus LFA exotic car's, provides easy reference to the most important data a sports sedan must convey. While the cabin is comprised of high-quality materials and tautly assembled with close attention to detail, one would hardly call this interior luxurious. 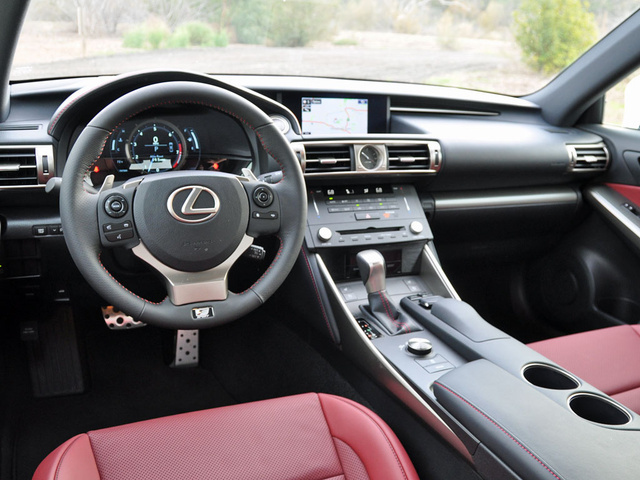 Hard plastics are sprinkled throughout, and Lexus employs black and metallic trim rather than the warm-toned woods and leathers that traditionally bedeck high-end vehicles. The analog clock is a nice old-school touch, though. Rear seat passengers will have few complaints on shorter rides, as the front seatbacks are softly padded and scooped out to add knee room. Plus, the bottom cushion sits high enough off the floor to provide good thigh support and a decent view out. Remember, though, that the Lexus IS is a compact car. For more spacious rear seating, check out the limousine-like cabin of the softer-riding ES 350. The IS isn’t designed to hold lots of stuff, either. The trunk, with its 13.9 cubic feet of space and 60/40-split folding rear seatback, is decently sized. Where the IS falls short is on the inside, especially with regard to the undersized center-console storage bin. Seeing as how the current, third-generation Lexus IS is now 2 years old (ancient in technology years), it doesn’t have the latest electronic wizardry that Lexus showcases in its new NX crossover SUV. This is actually a very good thing. In the NX, I despised the inaccurate, counter-intuitive, and highly distracting touchpad control for the infotainment system. In the IS, Lexus supplies a computer-mouse-style Remote Touch Interface, which is far more intuitive and easy to use. Another thing I like about the Lexus IS, especially compared to some other luxury cars, is that it supplies plenty of traditional knobs and buttons for the functions I use most often. In the IS, the driver won’t spend nearly as much time searching through menus to perform what should be simple operations. Conversely, though, you also won’t find features like a wireless smartphone charging tray in the IS. Yet. Get the optional Navigation Package, and Lexus evidently assumes that you’ll have a smartphone to sync to its Enform suite of technologies. Boasting such features as advanced voice command and Siri Eyes Free to make controlling your environment a hands-off experience, Enform includes App Suite connectivity to Facebook, Internet radio stations, and other supported mobile applications. An Enform Remote mobile app is also included with the Navigation Package and is free for the first year of ownership, providing remote access to various vehicle features. You can start the car’s engine, lock and unlock doors, check your fuel level, and find your vehicle in a crowded parking lot, simply by using your smartphone. Lexus Enform technology also includes Safety Connect services, with a free subscription for one year. Among other features, it will automatically dial out to emergency rescuers in the event that the car is involved in a collision. My IS 350 F Sport test vehicle also included a reversing camera, as well as a blind-spot monitoring system and a rear cross-traffic alert system, two features that will be must-haves on my next car purchase. It also came with a dynamic radar cruise control and pre-collision system, a setup that scans the road ahead, adjusts vehicle speed according to traffic conditions, prepares the brakes for maximum power in the event of a threat, and can automatically apply the brakes to reduce speed prior to a collision. If crunched sheetmetal cannot be avoided, know that the National Highway Traffic Safety Administration gives the Lexus IS an overall crash-test rating of 5 stars. The Insurance Institute for Highway Safety has yet to perform its full suite of testing on the IS, but this Lexus gets a Good rating for moderate overlap frontal impact and side-impact protection levels. As it turns out, my friend’s parents bought the wrong car, a decision that certainly will not prove cost-effective for them in the event they decide to correct the problem. Buy a Lexus IS because you enjoy the act of driving as much as your destinations, and this luxury sport sedan will treat you favorably on this front. The trick, apparently, is to get the Lexus IS 350. For this model, reliability is expected to be better than average, while the IS 250 has historically demonstrated a less impressive track record on this front. 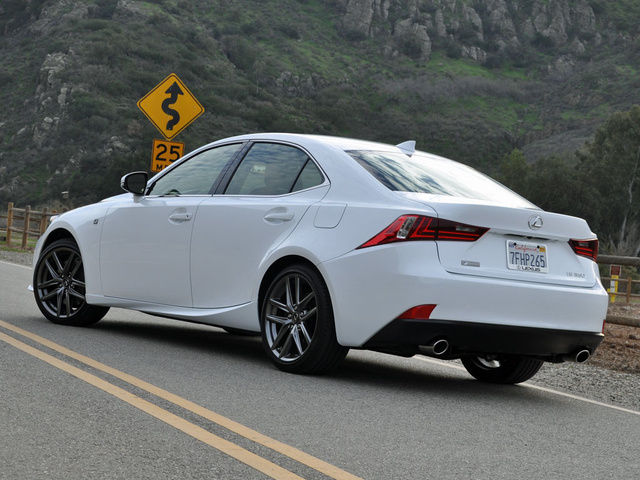 Plus, the IS 250 has shown Consumer Reports that it is more expensive to own and operate. As far as my IS 350 F Sport test car’s fuel efficiency is concerned, missing EPA estimates is largely on me due to how I elected to the drive the IS. No matter which version you choose, ALG thinks the Lexus IS will hold its value well over time. Just remember this advice before you go and spend nearly $50,000 on your new Lexus: Get the IS model if you love to drive. Get the ES model if you want comfort, space, and quietude. 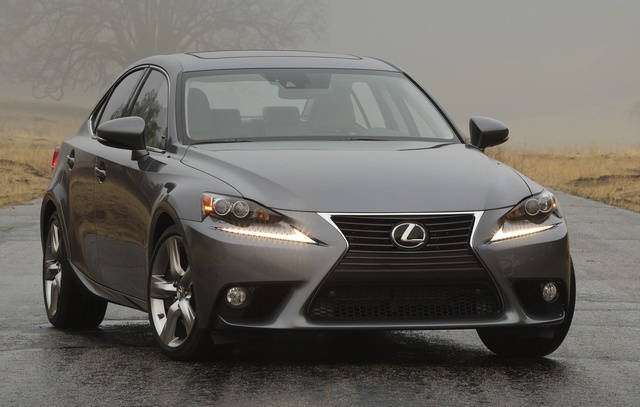 What's your take on the 2015 Lexus IS 350? 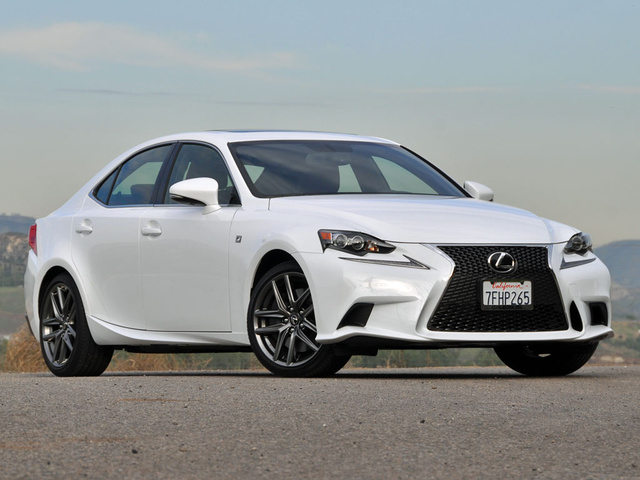 Users ranked 2015 Lexus IS 350 against other cars which they drove/owned. Each ranking was based on 9 categories. Here is the summary of top rankings. 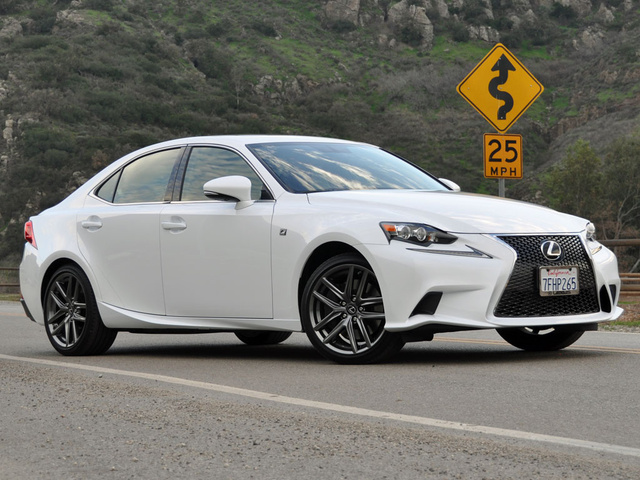 Have you driven a 2015 Lexus IS 350?